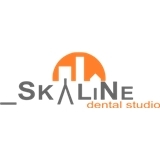 Skyline Dental Studio (San Francisco) - Book Appointment Online! I'm am living in SF temporarily and experienced a dental problem. I reached out to Dr. Pihur because she participates in my dental plan. She and her staff squeezed me in right away. They were kind and very professional. Dr. Pihur fixed my problem and explained a number of things about how my mouth works that I had not known before. Thanks so much!